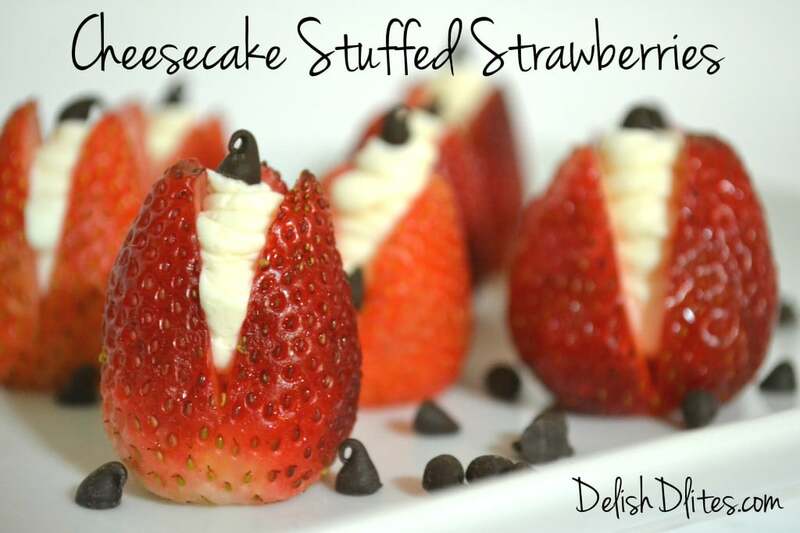 Love is in the air, in the form of these cheesecake stuffed strawberries! With Valentine’s Day around the corner, it’s time to start thinking about how to treat your loved one to something extra special! Who wouldn’t love to get a couple (dozen) of these? Everybody does chocolate covered strawberries, but these cheesecake stuffed strawberries are an extra special treat, and they’re super easy to make! 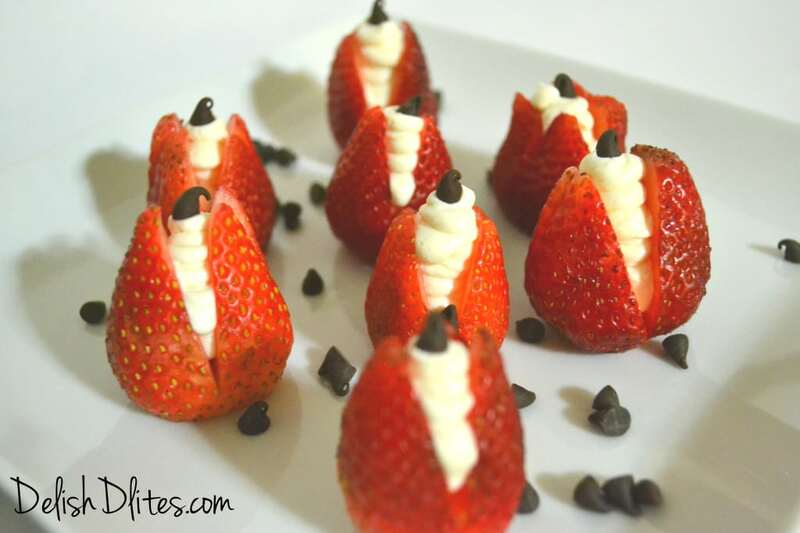 We’re going to stuff juicy, ruby red strawberries with a sweetened cream cheese filling, for a gourmet result without a lot of fuss. Just be warned, be careful who you make these for, I’m convinced these gorgeous treats contain special powers, guaranteed to win over the heart of your beloved. Don’t say I didn’t warn you. For optimal results, make sure you get extra large strawberries so you can fit enough of the cream cheese filling inside. 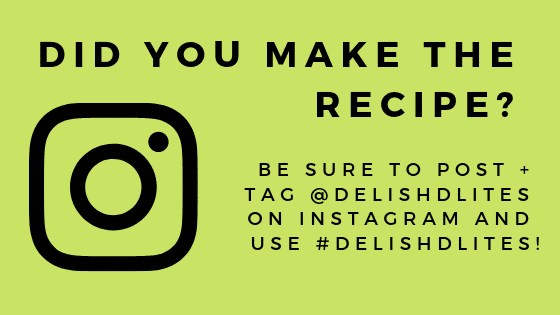 Also, and make sure you allow the cream cheese to come to room temperature before making the filling. 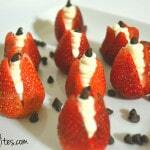 This will allow you to easily whip the cream cheese and pipe the filling into the strawberries. Whip the cream cheese, vanilla and sugar until fluffy. Spoon the mixture into a ziptop bag, and seal. Cut a small corner off the bag to create a piping bag. Wash the strawberries and cut off the tops. Cut an X into the narrow end of the strawberry, making sure not to cut all the way through. Pipe a bit of the filling into each strawberry. Top with chocolate chips, if desired. Serve immediately or refrigerate until ready to serve. Whip the cream cheese, vanilla and sugar until fluffy. Spoon the mixture into a ziptop bag, and seal. Cut a small corner off the bag to create a piping bag. Wash the strawberries and cut off the leafy tops. Cut an X into the narrow end of the strawberry, making sure not to cut all the way through. Pipe a bit of the filling into each strawberry. Top with chocolate chips, if desired. Serve immediately or refrigerate until ready to serve. These are delicious. Mine didnt come out as pretty. It’s kind of hard to pipe it into the strawberry. I dipped them into melted chocolate!!! Aww practice makes perfect, Kat! 😉 The chocolate idea sounds divine! I bet using the chocolate syrup that hardens when cool would work great!!! 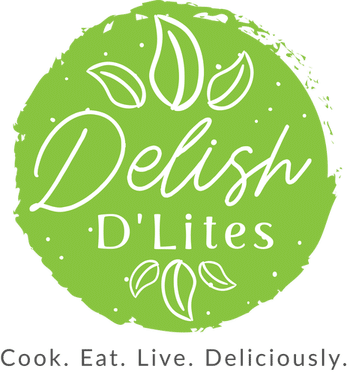 That would be totally delish! I wonder if you could use the cream cheese prepared for cheesecake in the dairy case? Hi Sandy! I didn’t even know that exists! I think that would work perfectly as long as there aren’t any eggs in the mix. Cheesecake and strawberrys together, Yes please. Im hungry now. These look so delicious & since they only have more berry, I can use the excuse that they are better for me!